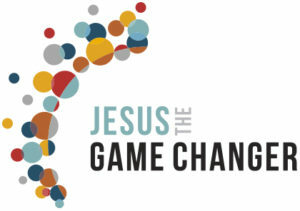 We are excited to announce a partnership with Olive Tree Media to bring you Jesus the Game Changer – a 10 part documentary series on how the life and teaching of Jesus changed the world and why it matters. In this small-group DVD series, host Karl Faase travels to the US, UK, Australia, Singapore and India interviewing over 30 authors, speakers and modern-day game changers on these topics and more to examine in depth the impact Jesus has had on western culture. Guests include top thinkers and cultural commentators; Eric Metaxas, Christine Caine, John Ortberg, Rodney Stark, Rico Tice, Mary Jo Sharp and many others. Thinking Matters is proudly sponsoring a screening of this series on Shine TV on Tuesdays at 8pm – starting Tuesday 6th September 2016. After each week’s episode we will publish a blog post on our site where you can discuss the episode with others. Visit www.ThinkingMatters.org.nz/GameChanger for the latest post during the screening. We are selling copies of the full series on DVD on our online store. Click here to purchase. Note stock will be arriving on the 6th September when the Shine TV screening starts – so your order will not be shipped until then. Olive Tree Media have released a trailer for a new DVD series about how the life and teaching of Jesus changed the world and why it matters. Hosted by Karl Faase, the 10 episode series includes interviews with notable Christian academics such as Miroslav Volf and Rodney Stark. The series comes out in July. Karl Faase is the Senior Pastor of Gymea Baptist Church and CEO of Olive Tree Media, an Australian-based media organisation which produces DVD and television series for Christian media and church use. This high quality Australian produced resource has been launched in New Zealand and Thinking Matters is proud to partner with the producers – Olive Tree Media – to promote it throughout the country. This ten-episode DVD series follows Australian pastor and host, Karl Faase as he travels the world and interviews over 30 leading authors and speakers about the top “belief blockers” of our time. It is designed for both a wide audience and church groups, intending to attract both Christian and non-Christian viewers equally. Contributors include John Lennox, Os Guinness, Richard Swinburne, Michael Ramsden, Amy Orr-Ewing and John Dickson – along with many others. Suffering: Presents both an intellectual and personal response to the issues posed by the existence of suffering. The Bible: Looks at whether what the Bible contains is historically accurate and can be trusted. Supernatural: Explores belief in the supernatural and looks at a specific case where it seems that supernatural intervention is undeniable. Religious Violence: Explores whether Christianity, as a religious worldview, causes wars, atrocities and genocides. How does the Church respond to this charge? Exclusive Faith: Christianity’s claim that Jesus is the only way to God is viewed as arrogant, intolerant and a significant blocker to personal belief. In this episode, guests give plausible reasons for the Christian worldview. Church Abuse: Abuse scandals, particularly in relation to children, have rocked the Church, leaving it open to the charge of hypocrisy. Science & God: Eminent and experienced scientists explain how and why they can have scientific credentials from the world’s leading universities, as well as having a Christian faith. Homosexuality: In this episode we look at the Biblical view on homosexuality and what is the Christian response in the current social environment. The Church: There is a public perception that the Christian Church is dying. We talk with leaders who are seeing the Church grow and they give their perspective on the future of the Church. Towards Belief: In the end, there is still a step of faith to be taken. This episode looks back over the personal stories of some of the guests and seeks to clarify that choice. For a more in-depth outline of each episode, drill down on each from this page. This series will become a long term strategic resource for Thinking Matters as we seek to equip the New Zealand Church with accessible and high quality training to help us make a sincere and clear defence for the Christian worldview. We would like to see churches promoting screenings of the series throughout their communities – to see people becoming more open to the Gospel through them. Do you want to run an event at your church for your community? Talk to us for help and advice with promotion. We would like to see Church leadership and discipleship programs promote this resource within churches for use in home-groups and small-group discipleship. Do you have a home-group who might be interested in viewing this? Talk to us for advice. We would like to see individual episodes being used as components in wider curriculum and training programs in apologetics and worldview subjects at theological colleges and Christian schools. Are you associated with training, a tertiary institute or a Christian school? Review individual episodes here for suitability of use within your curriculum. You can purchase the full set for $59.95 (free freight) from Life Resources in Christchurch, or rent or buy for download individual episodes directly from the Towards Belief website here. The full DVD set also comes with an 80-page Discussion Guide – and key quotes for each episode can also be downloaded from here. Earlier this year, the Tyndale House sponsored a conference at the Westminister Chapel, in London, to both address contemporary objections to the historicity of the New Testament and show why the Bible can be trusted. With the goal in training Christians to be able to share their faith with confidence, the conference brought together some of the foremost evangelical scholars around today. The DVD of the sessions has now become available. You can purchase it online here. A widely held idea is that Christian beliefs arose over a long period of time through a mixture of gullibility and conspiracy. Early Christian records are held to be legend, myth or fabrication. Dr Peter (P.J.) Williams is the Warden of Tyndale House. He was educated at Cambridge University, where he received his MA, MPhil and PhD, in the study of ancient languages related to the Bible. Another popular idea is that the Bible has been corrupted, either by deliberate falsification or simply lost through passage of time. Such ideas are promoted in the British media. This session will explain what New Testament manuscripts are and compare the manuscripts we have of the New Testament with what we have for other ancient writings. It will also show how little evidence there is for deliberate change within New Testament manuscripts. The scribes of the New Testament manuscripts would not have been good conspirators because they were interested in copying not in changing. Dr Dirk Jongkind is a Dutch biblical scholar who finished his PhD at Cambridge University on Codex Sinaiticus, the oldest complete copy of the New Testament. Probably the most popular idea in relation to the Bible is that books have been missed out or put in due to political pressure and various media have been full of talk about ‘other gospels’. * they believed that Jesus had died as a ransom for our sins. * they believed that Jesus had fulfilled the Old Testament. It is found that while Matthew, Mark, Luke and John agree with these two Christian beliefs, the apocryphal gospels generally do not. They do not fit the pattern of earliest Christian belief precisely because they were written later. They are less reliable than the canonical gospels both in their picture of history and in their picture of Jesus’ message. For real pictures of Jesus, based on eyewitness testimony, you need to read the New Testament. Dr Simon Gathercole is Editor of the Journal for the Study of the New Testament. Having studied Classics and Theology at Cambridge University. I have stolen the following directly from here — thanks Wintery Knight! Illustra Media is the Creator of three of the best DVDs available on intelligent design. Their DVDs are professional documentaries with lots of great music, stunning animations and interviews with people on both sides of the question. The first DVD (watch the whole thing on youtube) is about biological information and the origin of life. The second DVD (watch the whole thing on youtube) is about fine-tuning at the galactic, stellar and planetary levels. And now there is a new DVD, that has just come out! The documentary of the debate tour involving new atheist Christopher Hitchens (God Is Not Great: How Religion Poisons Everything) and evangelical theologian Pastor Douglas Wilson comes out next month. Their tour addressed the topic “Is religion good for the world?” and the documentary is directed by Duane Doane. You can preorder it now on amazon. Check out the official site to watch the first 13 minutes. http://thinkingmatters.org.nz/wp-content/uploads/2018/12/Thinking-Matters-Logo-MEDIUM-BLACK-TRANPARENT-1030x278.png 0 0 Jason http://thinkingmatters.org.nz/wp-content/uploads/2018/12/Thinking-Matters-Logo-MEDIUM-BLACK-TRANPARENT-1030x278.png Jason2009-09-04 13:45:432009-09-04 13:45:43Preorder the Hitchens v Wilson DVD documentary "Collision"